This discussion is to look at some information about Claircognizance, which is one of the Clair abilities: clairvoyance, clairaudience, clairalience, clairsentience, and clairgustance. So lets start with some basic information and move deeper into it from there. Claircognizance , also referred to as Clear Recognition or Clear Knowing, is the ability to know something, no-one tells them and it is not something that they’ve read before, they just simply know it. It is an inner feeling, gut feeling, something which is just known. They have an ability to answer questions and back them up with facts; when before they did not know anything. Claircognizance means ‘clear-knowing’. Claircognizants ‘know’ certain things without being told. For claircognizants, their higher self or spirit guides put information (in the form of thought) into their mind. This can be a whole load of information that is ‘downloaded’ into the mind. It can be smaller insights about people and situations here and there. It can be an inspired idea. All claircognizance is characterized by this strong sense of knowing that goes beyond logic and by the fact that the intuitive information comes into the mind, not into the heart or the mind’s eye. You may be Claircognizant or intuitive and have an inner knowing about things if the information, idea, concept or thought “just comes to you” and has the feeling of “this is important”. The knowledge you receive often flashes suddenly into your mind seemingly “out of no where”. You may know who is on the phone before you answer it or know personal things about people you just met. You just know something, although you may not know why or how you know it. 1. After misplacing an object, you suddenly ‘know’ where the object is. And when you look in the place you find it. There is no rhyme or reason for this either. 2. Automatic Writing, which is the process or production of writing material that does not come from the conscious thoughts of the writer, is another example of Claircognizance. Practitioners say that the writer’s hand forms the message, with the person being unaware of what will be written. 3. Someone asks you a question, of which you have no foreknowledge, and the information simply comes to you out of the blue. You can simply see it in your head and share it with others. 4. You’ve never tried to do something like beading before. And when you try it, you can see the process and the pattern all the way to the completed project in your mind as you work, even without instructions. 5. You’ve never played a musical instrument in your life, but when you sit in front of a piano you simply know how to play your favorite song. Understanding the keys, even without understanding how to read music or having instruction in the piano, and being able to play the song simply happen. Some people believe Claircognizance is given to us by spirit guides, angels, or through contact with ones own higher self. They believe this information is accessed through a person’s Crown Chakra. Another place people assert that this information is taken from is called the Akashic Records. The Akashic Records is a term used in theosophy to describe a compendium of mystical knowledge encoded in a non-physical plane of existence. These records are described to contain all knowledge of human experience and the history of the cosmos. They are metaphorically described as a library and other analogues commonly found in discourse on the subject include a “universal computer” and the “Mind of God”. Beyond these assertions, those who are Claircognizant tend to be people who are cognitive, cerebral and/or analytical in nature. This simply means that the people who tend to have this ability tend to see a topic in analytical terms, and can break these things down into step by step instructions, without being instructed in them. It also means that they are in touch with and can utilize their own inner intuition. 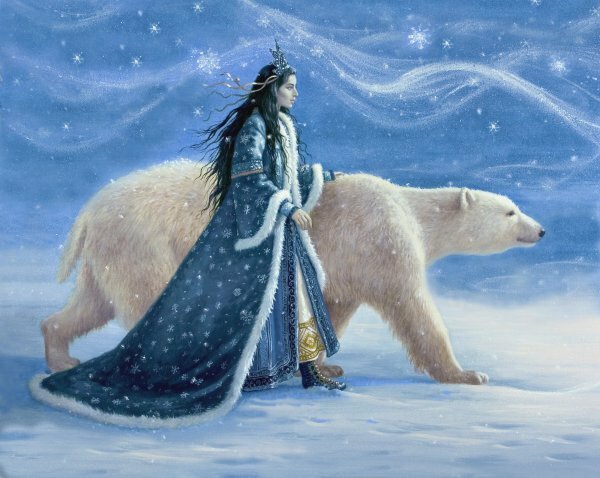 They will often use this ability in their daily lives without ever realizing that they have it either, because it is not a well known ability like Clairvoyance or Clairsentience. Likewise, if you’ve ever had an ‘epiphany’ or a ‘divinely inspired idea’, that would be categorized as Claircognizance. It is not a gift that is limited to people who exhibit it on a regular basis. Everyone is capable of having these moments of clarity, because Claircognizance is all about that clarity of thought. A great example of such divine inspirations which came from deity can be found in the idea of the Greek/Roman Muse. Muses, in Greek mythology, nine goddesses, daughters of the god Zeus, king of the gods, and of Mnemosyne, the goddess of memory. The Muses were believed to inspire all artists, especially poets, philosophers, and musicians. 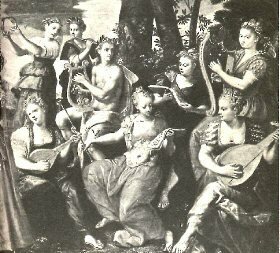 By late Roman times (3rd century to 5th century), each Muse was believed to preside over a particular art: Calliope was the muse of epic poetry; Clio of history; Euterpe of lyric poetry sung to the accompaniment of the flute; Melpomene of tragedy; Terpsichore of choral songs and the dance; Erato of love poetry sung to the accompaniment of the lyre; Polyhymnia of sacred poetry; Urania of astronomy; and Thalia of comedy. Automatic writing is suitable for receiving claircognizant information, as it often comes through in big chunks. 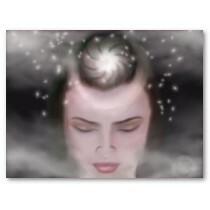 Open a word document or get a piece of paper and a pen and ask your Higher Self a question. Write down whatever comes into your mind in response – it doesn’t matter if it sounds like a load of nonsense at first, no-one will read it but you. Make sure the conscious mind is only a spectator in this exercise – don’t allow your mind to think about the information you’re getting. The first time I did this, I got three pages of nonsense from my subconscious mind. When I persisted with it, I began to channel some insights which surprised me in their clarity and wisdom. Now whenever I want to tune in to my guides or Higher Self, I open a word document and start typing and my claircognizance begins to take over. Just setting the intention for your claircognizance to develop will start the process! Write your intention down as this will make it more powerful. Make time for intuitive guidance. If you don’t already meditate, start a meditation practice, as just five minutes a day will help you to tune in more to your intuition. Meditation helps to quieten your mind and Divine guidance can come through a quiet mind more easily than a distracted one. Claircognizant information often comes through to me when I’m meditating. When I’m meditating, I imagine my crown chakra (the chakra on the top of my head) opening up and I often receive spontaneous intuitive insights upon doing that. Some people like to visualize a funnel being placed upon the crown chakra, to funnel the intuitive guidance from the Divine Intelligence. When you’re in a relaxed state and ready to receive intuitive guidance, if none is forthcoming, start the process by asking a question of your Higher Self and see what comes into your mind. Often your claircognizance is already operating and waiting to be recognized as guidance. Become more aware of your thoughts. In particular be very aware of what thoughts you are having when you meet someone new or when you’re being told about a situation that you know little about. See what you glean about that person/situation between the lines and if you can, get it validated. Find a quiet comfortable room in which to meditate. The room should be light and airy. Natural light is obviously best, but artificial is acceptable. You may wish to light scented candles or Joss sticks. Lighter fragrances, such as lavender are more suitable than heavier ones. White or pale blue candles are best. Subdued mood music or silence will complete the mood. Sit quietly in the middle of the space for about 2-3 minutes. Close your eyes and centre yourself. Focus your attention on the Crown of your head. You will not be able to see it, so come out of yourself until you outside your body and looking down on yourself from a distance of 2-3 feet. Visualize a cone or speaker about a metre wide above your head. I always visualise something like a Wizards hat, but with a wider brim. Open yourself to any impressions you receive, no matter how faint or unusual they may be. As something comes in to your mind move towards it and open yourself up to receive further information. As you develop your abilities you will be able to direct your thoughts to a specific event or situation to predict specific things. You should also be receptive to Claircognizance in your daily life. As impressions leap in to your head, take note of them and give them the freedom to develop and expand. With practice your accuracy will improve and you will become one of those people who “just know”. ~ by Misuchi Sakurai on July 7, 2009. Welcome to Empathic Perspectives, where the Empathic Mind is seen through all sorts of perspectives. Take a look around, and if you have any questions or comments, we will try to answer them as best we can. Please note that everything written on this blog is written by caring people who are here to help and to teach. None of the material here, though, should be used to replace medical and/or psychiatric help, where it is needed. If you are in need, please contact a professional immediately. And remember, you are never alone, even when it seems that way.